Hello! So, you all probably know by now that the book I illustrated, was released on October 6. It's been available for preorder online. And I know Amazon and online shopping is pretty convenient, but I really still love going to bookstores. 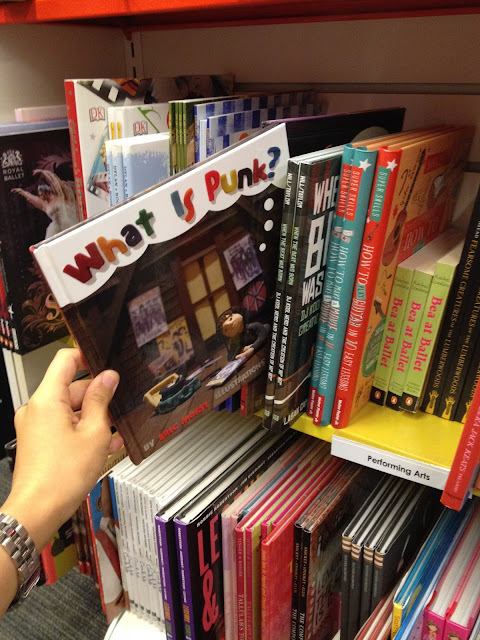 We grew up going into bookstores regularly when we were kids (remember Crown Books?). Now, one of my favorite bookstores is called Vroman's in Pasadena. I started going there in the early 2000s. I would pick up California Apparel News, and various music and fashion magazines. They have everything. It's definitely one of those stores that you go into and spend way too much time in there, and discover so many wonderful books and things that you instantly just need to have. That's the true shopping experience. Not only that, you should read about this store and how it all began and who Mr. Vroman is. I love the story and I love how this store still exists. And it can only exist if we continue to stop in and support by purchasing books, magazines, gifts, etc. Not only that, they have major guests for in-store events, and have a nice coffee shop. Also, What Is Punk? is on the the shelves here! 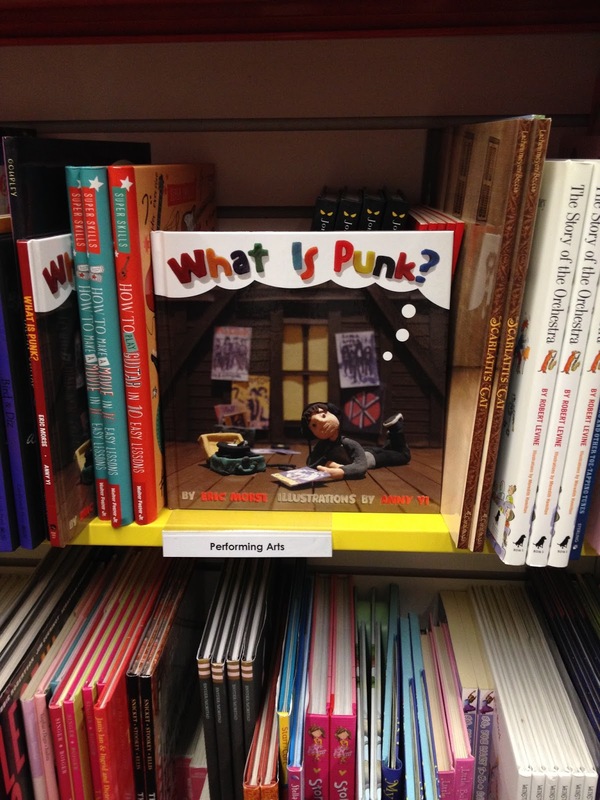 What Is Punk? at Vroman's Bookstore! Also, we were in AP! It was super surreal. I still have my old copies of AP. And one of the best reviews on Dangerous Minds.